Great location in Scheveningen: view nN the beach and sea, close to shops, restaurants, bars, cinema, park. A few kilometers from Shell,ICC, OPCW, Europol and various embassies. Good public transport as well as easy access to motorways. Layout: spacious hall (appr. 6.90x 1.50 m) with wardrobe, guest toilet with washbasin, very light and large living room (appr. 6.50x6.00 m) with a four seasons balcony (appr. 3.35x3.25 m), facing southwest. Fully equipped open kitchen with all modern appliances and spacious dining area (appr. 6.45x3.55 m), separate area with connection for washing machine and dryer. Master bedroom (appr. 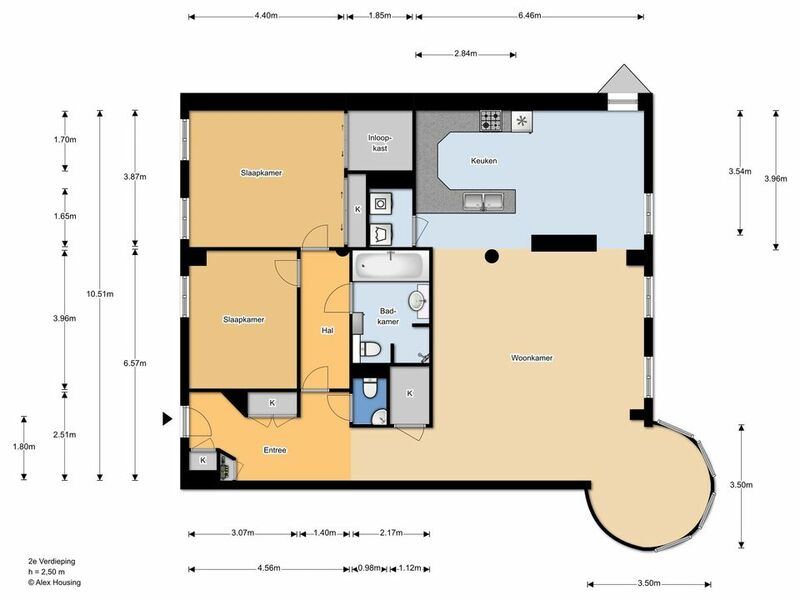 3.85x4.40 m) with built-in wardrobes (walk-in closet) and 2nd bedroom (appr. 3.95x3.05 m) with wardrobe, luxurious bathroom (appr. 2.20x3.20 m) with bath, separate shower, toilet and double washbasin.